For LCD and Digitizer, before you install them onto the phone, please connect it to the board and test first. All parts are tested and quality controlled prior to shipment. Some parts have flex cables attached which are very fragile and can be damaged or torn very easily, so please be very careful when handling them. 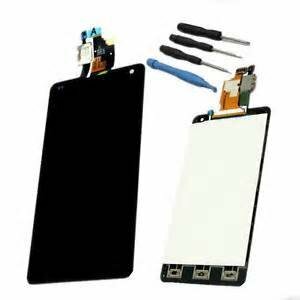 Compatible with LG Optimus G LS970 Sprint, E973, E975.